A friend introduced me to Canva. I've been working on myself. My happiness. Reading The Happiness Project. Trying to figure things out. Better late than never, right? Actually, I used to abhor being late. It's ironic that now I am one of those chronically late people. My mom used to run late for dropping me off at things like tennis lessons and I was painfully shy. I hated the attention and embarrassment of walking in late so much that I'd rather not go than be late. Since then, I've turned into someone who always underestimates the time it will take to accomplish something (see The Planning Fallacy). For example, I think that it only takes 20 minutes to drive pretty much anywhere. Even when it actually takes 40 minutes. So I'm usually late for things. And I know it's a bad habit and that it's inconsiderate to others. 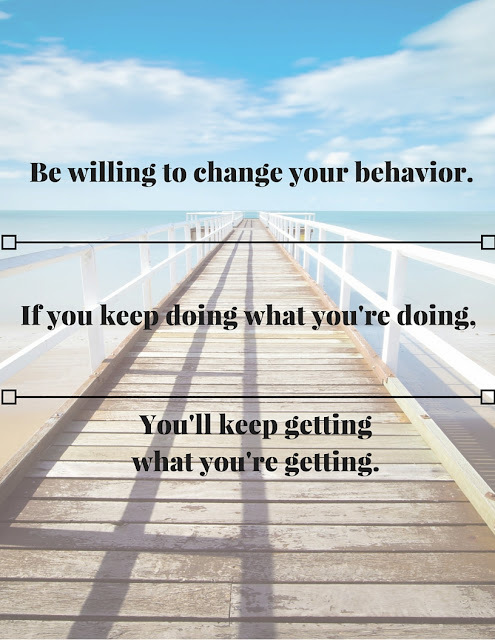 So I have to be willing to change my behavior.